Overall Condition Good to Fair. 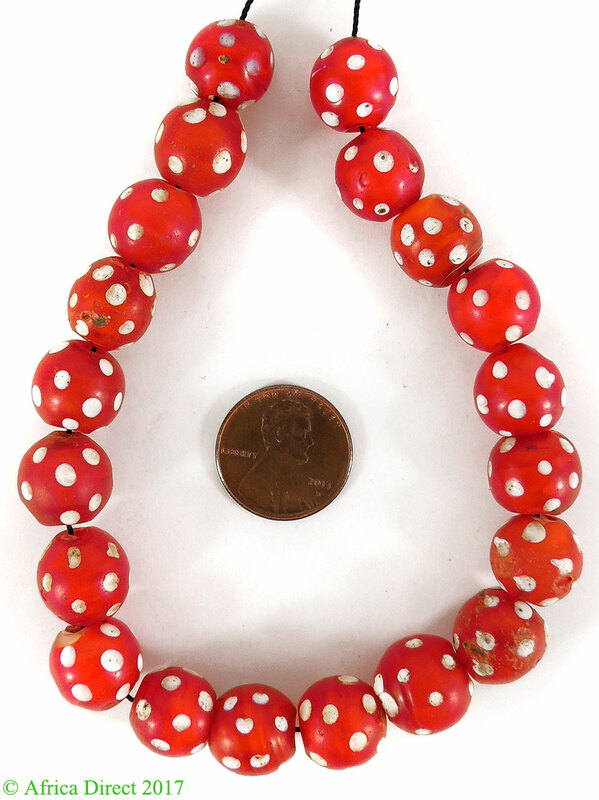 Some of these beads have traveled at least three continents, and have graced numerous owners. Small chips, corrosion, and pitting are a normal part of their patina attesting to their age and extensive use. Bead Size 11-13 mm diameter, 2-3 mm hole size(measurement is approximate). See picture with penny for size comparison. U.S. penny is 19mm in diameter. Strand Length 9 inches of beads. 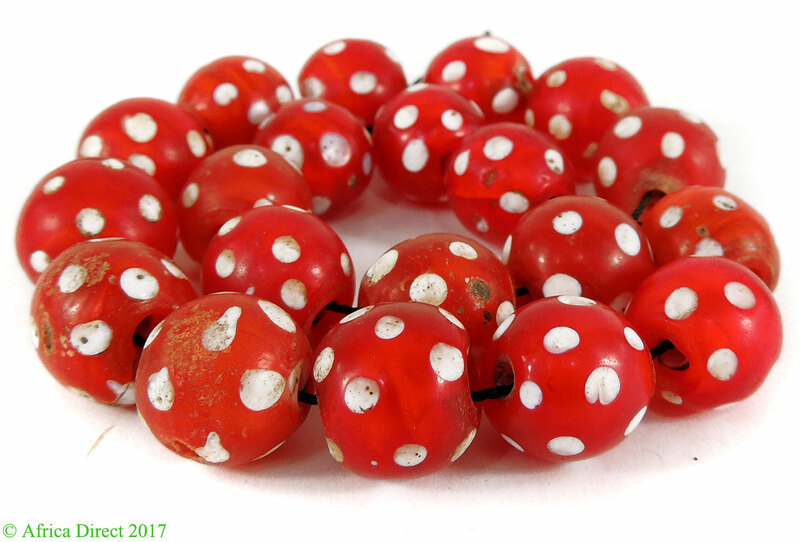 One of the most intriguing aspects of these beads is how they have survived a hundred or more years of wear and travel through at least three continents. Another mystery is who wore them before us and who will have them next.